Recipient of the prestigious 2015 Avery Fisher Career Grant and the 2017 Lincoln Center Award for Emerging Artists, violinist Paul Huang is quickly gaining attention for his eloquent music making, distinctive sound, and effortless virtuosity. The Washington Post proclaimed Mr. Huang “an artist with the goods for a significant career” following his recital debut at The Kennedy Center in 2012. Mr. Huang’s recent and forthcoming engagements include his recital debut at the Lucerne Festival in Switzerland as well as solo appearances with the Mariinsky Orchestra under Valery Gergiev (during St. Petersburg’s White Nights Festival), the Berliner Symphoniker with Lior Shambadal (marking his Philharmonie Berlin debut), the Detroit Symphony Orchestra with Leonard Slatkin, the Houston Symphony with Andrés Orozco-Estrada, the Orchestra of St. Luke’s with Carlos Miguel Prieto, the Seoul Philharmonic Orchestra with Markus Stenz, and the Taipei Symphony Orchestra with Gilbert Varga (both in Taipei and on a US tour). Other highlights including his Chicago orchestral debut at the Grant Park Music Festival and appearances with the Buffalo Philharmonic Orchestra and the Baltimore, Alabama, Pacific, Santa Barbara, Charlotte, and (Taiwan) National symphony orchestras. During the 2018–19 season, Mr. Huang makes debuts at the Hong Kong Chamber Music Festival and the Santa Fe Chamber Music Festival, and he returns to the Chamber Music Society of Palm Beach with the Emerson String Quartet and pianist Gilles Vonsattel for a performance of Chausson’s Concerto for Violin, Piano & String Quartet. In addition, he continues his association with the Chamber Music Society of Lincoln Center and Camerata Pacifica, with whom he performs all three violin sonatas by Johannes Brahms. Mr. Huang’s recent recital engagements include Lincoln Center’s Great Performers series and a return appearance at The Kennedy Center, where he premiered Conrad Tao’s Threads of Contact for Violin & Piano during his recital evening with pianist Orion Weiss. He has also stepped in for violinist Midori for performances with Leonard Slatkin and the Detroit Symphony Orchestra to critical acclaim, and he’s made debuts at London’s Wigmore Hall, the Seoul Arts Center, and the Louvre in Paris. His first solo CD, Intimate Inspiration, released on the CHIMEI label, is a collection of favorite virtuoso and romantic encore pieces. In association with Camerata Pacifica, he recorded Four Songs of Solitude for solo violin on their album of John Harbison works, which was released on the Harmonia Mundi label in fall 2014. A frequent guest artist at music festivals worldwide, Mr. Huang has performed at the Seattle, Music@Menlo, Caramoor, Bridgehampton, La Jolla, Moritzburg, Kissinger Sommer, Sion, and Orford chamber music festivals as well as the Great Mountains Music Festival in Korea. His collaborators have included violinists Gil Shaham, Cho-Liang Lin, and Lawrence Power; violists Nobuko Imai and Maxim Rysanov; cellists Mischa Maisky, Jian Wang, Frans Helmerson, and Lynn Harrell; and pianists Yefim Bronfman and Marc-André Hamelin. 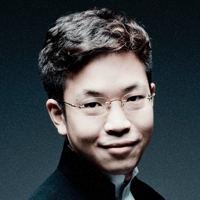 As the winner of the 2011 Young Concert Artists International Auditions, Mr. Huang made critically acclaimed recital debuts in New York and at The Kennedy Center in Washington, DC. Additional honors include first prize at the 2009 Tibor Varga International Violin Competition Sion-Valais in Switzerland, the 2009 Chi-Mei Cultural Foundation Arts Award for Taiwan’s Most Promising Young Artists, the 2013 Salon de Virtuosi Career Grant, and the 2014 Classical Recording Foundation Young Artist Award. Paul Huang was born in Taiwan and began violin lessons at the age of seven. He is a proud recipient of the inaugural Kovner Fellowship at The Juilliard School, where he earned his bachelor’s and master’s degrees under Hyo Kang and I-Hao Lee. He plays the 1742 ex-Wieniawski Guarneri del Gesù, on loan through the generous efforts of the Stradivari Society of Chicago.